Matthew is a graduate of the DeGroote School of Business MBA Program, where he focused in Real Estate, Consultative Selling, Negotiations and Finance. Currently, Matthew is a Teaching Assistant at McMaster University, where he covers Business Policy & Strategic Management at the Undergraduate and MBA levels. Over five years of Real Estate experience began in 2011, when Matthew worked as an Analyst for Morguard Financial, contributing to back-to-back Lipper Fund Awards for Best Canadian Real Estate Equity Fund over Three Years. The analytical skills learned at Morguard have translated to in-depth knowledge of Residential Markets, in order to create advantages for Market Master Team Clients. Today, Matthew prides himself on maximizing market readiness and exposure of properties to assure they will be seen by all and at their best! Matthew is also an avid sports enthusiast; particularly in Golf, Hockey, Tennis, Squash and Running. Having played NCAA Division I Golf while studying Finance at Long Island University, Matthew learned the importance of discipline, dedication, and perseverance in order to achieve goals, which is exactly the approach he brings with him towards the Real Estate Industry! 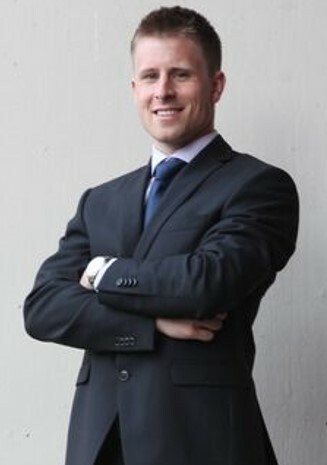 Jason is a graduate of the DeGroote School of Business MBA Program, where he specialized in Finance and Valuations. Currently, Jason is a lecturer in Finance and Investments at several Universities in the Greater Toronto Area. Jason's expertise in the real estate industry stems from his extensive experience and successful track record in the investment management industry. As a fully licensed equities and derivatives trader and advisor, Jason worked his way up through several trading desks on Bay Street. Jason's success in the investment management industry was highlighted by having been part of a high profile team of advisors at RBC that offered exclusive investment advice on a portfolio of nearly $1 Billion in assets. Jason’s expertise in Finance also played a key role as part of a team at Wells Fargo that provided customized financing solutions to organizations across North America. Fully entrenched in the real estate industry now, Jason ensures every client of the Market Master Team receives the trusted and professional advice they deserve when deciding to buy or sell a home. Given that your home represents one of the largest investments you'll make, trusting an experienced and knowledgable expert like Jason to help guide you is a no-brainer. In this heated market, the Market Master Team kept me positive and ensured that I didn’t give up on finding my dream home. Thanks to their relentless efforts and unmatched professionalism in negotiating, I was able to find the perfect place and still be within budget. I can’t thank them enough for all their hard work. A big Thank You to the Market Master Team for making our dreams come true.